Just a reminder that every day is Monday for an ant. Work, work, work. No weekends. Today’s EDIMA post harkens back to our first ant post, which looked at the ways ants play surprising roles in the larger world around them. Through moving of soil by nest building activity and by collecting food they affect the level of nutrients in the soil. This can indirectly impact the local populations of many animal groups, from decomposers such as Collembola, to species much higher up the food chain. Certain workers stretch their bodies over gaps in the forest floor, allowing their food-carrying sisters to march over them.The ants carefully size-match to the holes that they plug. [Researchers] Powell and Franks stuck planks with different sizes of hole in the path of the ant column, and found perfect matches between ant and hole. By smoothing the trail home, they ensure that other workers can return food to the colony as fast as possible. Army ant plugging a hole in the road. 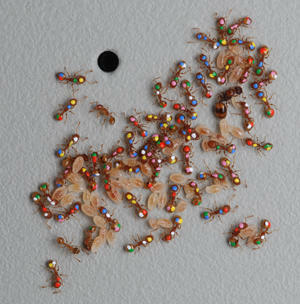 The article notes that these specialist ants improve the performance of the colony as a whole even though they are not directly carrying food or other supplies. A quick heads-up: the full story is around 11 printed pages. Some quality theories in the video comments: ant mosh pit, ant death spiral, ants creating a portal to another dimension, ants summoning Azathoth, etc. Ants are marked for research purposes. Photo by Arizona State University. 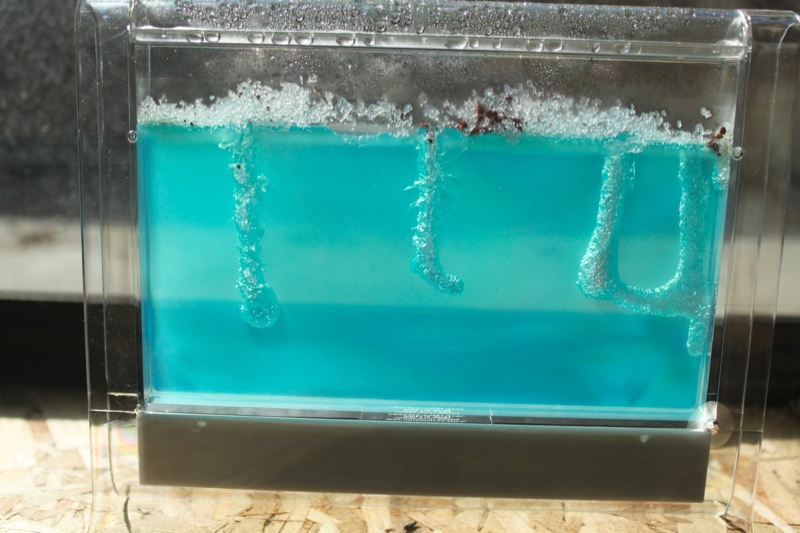 Click through for thoughts on the queen ant’s role (basically just a baby factory) and for a blurb on the ant robot the researchers are building. Also at the link is a video demonstrating ants that work together cooperatively to carry a “food” object bigger than what a single ant could move. 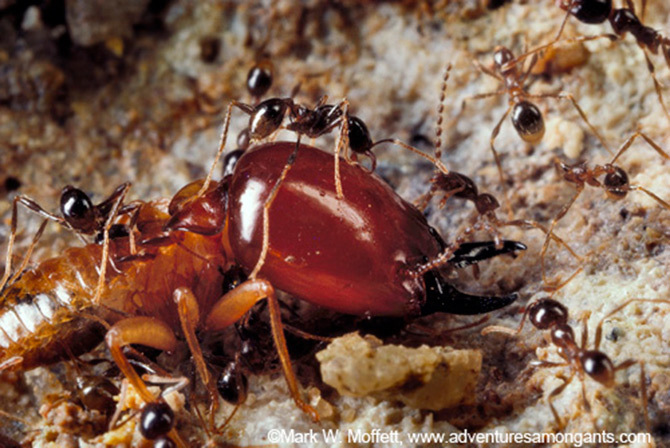 Malaysian marauder ants fight a termite. Photo by Mark Moffett. So with all the strategy, ruthlessness and brute force, which ant species reigns supreme? We might soon find out, thanks to a looming “mega-battle” Moffett’s anticipating in California. There, two species of ants — Argentine and fire — are preparing to duke it out for the state’s 164,000 square miles. Where do I go to watch this? Researchers Todd Palmer at the University of Florida and Jacob Goheen at the University of Wyoming observed the eating patterns of elephants on Kenyan savannas and stumbled upon an incredible anomaly: the lumbering mammals plowed through everything that they encountered, save for one type of tree (Acacia drepanolobium) that was covered in ants. “We found that the elephants like to eat the ant-plants just as much as they like to eat their favorite tree species, and that when either tree species had ants on them, the elephants avoided those trees like a kid avoids broccoli,” Palmer explained to Discovery News. Follow the link to read about how they do it. Ants may be the best elephant repellants. Photo by Zahra Hirji. Once again, ants playing a surprising role in the larger world around them. “These tiny ants are actually major ecosystem players, capable of regulating woody plant biomass accumulation in a savanna, and stabilizing the tree population against catastrophic damage by elephants,” Palmer said. 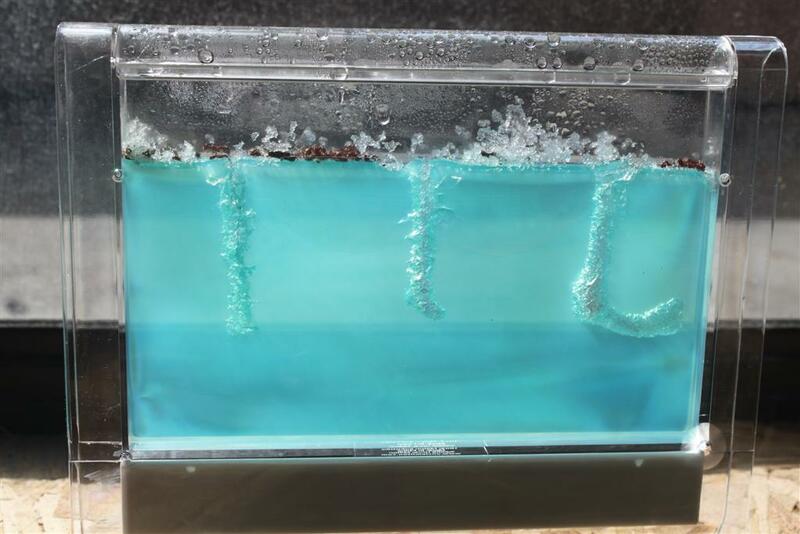 Research led by Dr. Matt Hutchings and published today in the journal BMC Biology shows that ants use the antibiotics to inhibit the growth of unwanted fungi and bacteria in their fungus cultures which they use to feed their larvae and queen. So a pest using pesticides. Also, it turns out the antibiotic they use might be useful for people as well.